Obituary for Donald Joseph Keib | Iseneker Funeral Home, Inc.
LOWVILLE- Donald Joseph Keib, 73, of Number Three Road, Lowville, passed away Monday evening, March 18, 2019 at University Hospital, Syracuse. A funeral service with Military Honors will be at 11:00 a.m. on Friday, March 22, 2019 at the Lowville Baptist Church with Rev. Leon Runner officiating. Spring burial will be in the Lowville Rural Cemetery. Calling hours are from 4-7 p.m. on Thursday, March 21, 2019 at Iseneker Funeral Home, Inc., 5702 Waters Road, Lowville. Contributions may be made to a charity of one’s choice. Don is survived by his beloved wife of 24 years, Terryl; two sons, Robert Keib of Salem, MA, Stephen Keib of Doylestown, PA; six step-children and their spouses, Susan and Mike King of Woburn, MA, Melissa and Dana Vient of West Springfield, MA, Steven and Jill DeCarolis of Wilbraham, MA, Melissa and Jim Bocek of Bloomfield, CT, Daniel R. and Heather Munson of Enfield, CT, Erika and Brian Nagle of East Granby, CT; a brother and sister-in-law, Neil and Judy Keib of Hamilton; a granddaughter, Sharon Keib, and seven step-grandchildren; four step great-grandchildren, and several nieces, nephews and cousins. He is predeceased by his wife, Joyce DeCarolis, who died on September 11, 1993; a sister, Carole Goodier, and his twin brother, Douglas Keib. Don was born on June 5, 1945 in Lowville, NY, a son of the late Frederick and Joan McDonald Keib and graduated from Lowville Academy in 1963 and Morrisville College in 1965, with an AAS degree in Dairy Science. As a young man, Don worked on the Leo and Mary Demko Farm on the Number Three Road in Lowville from 1957-1965 and on and off for many years after. Don remained lifelong friends with Leo and Mary and their family. He served in the U.S. Army during the Vietnam War, as a crew chief on a helicopter with the 176th Aviation Company. 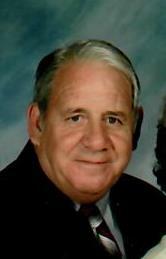 He worked as a salesman for Ecolab throughout the Northeast for 38 years. On January 14, 1995, he married Terryl Tabor in Harpswell, Maine. He was a member of the Lowville Baptist Church and Open Bible Baptist Church, Bath, Maine. He was also a Life Member of the Brunswick, Maine VFW Post and a member of the Antique Tractor Club of Maine and an antique tractor enthusiast. He was a collector of Vintage Milk Bottles and Dairy Farm Memorabilia. He enjoyed riding on his tractors, gardening, and tending to his chickens.